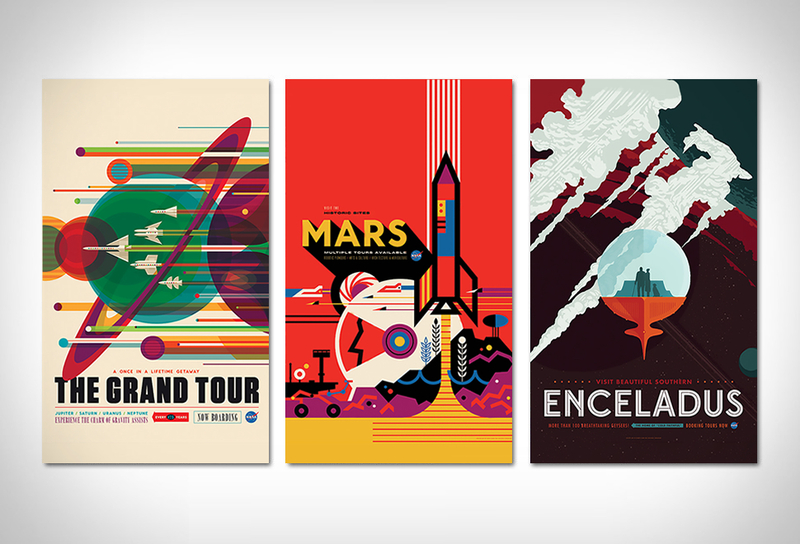 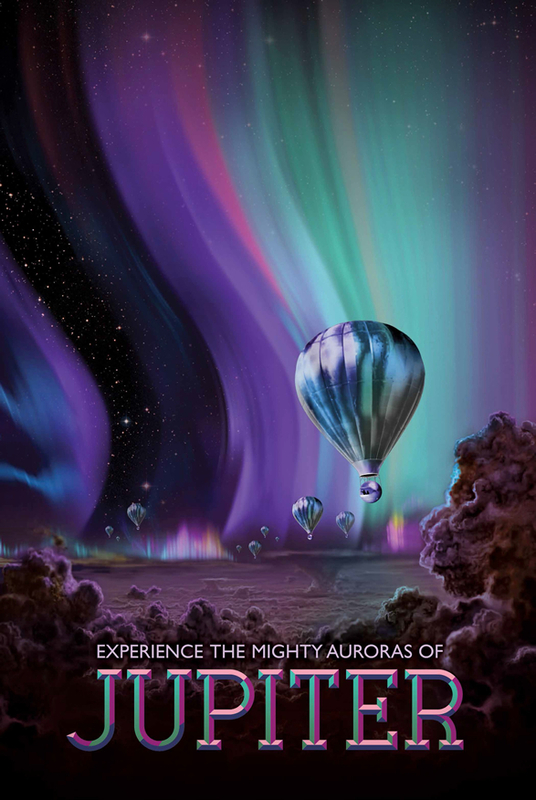 NASA is giving away its spectacular vintage-inspired space travel posters for free! 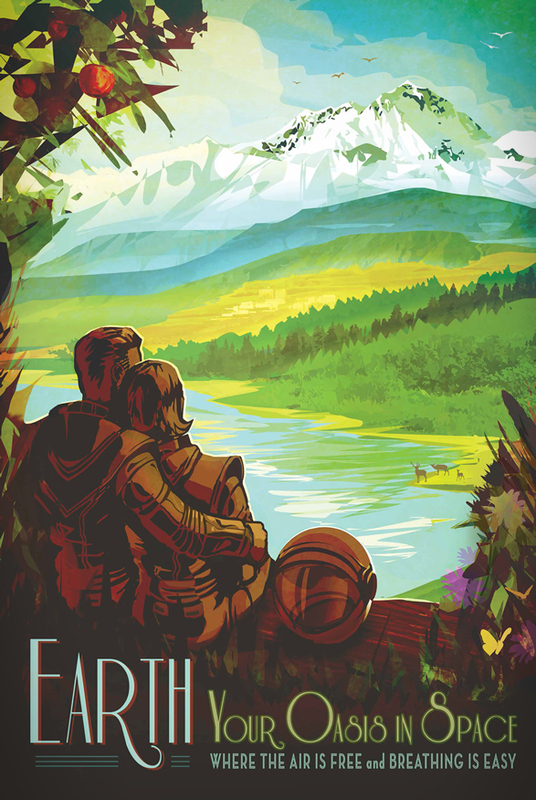 Back in the 1930s and ´40s, during the height of the Great Depression, artists designed posters for the Works Projects Administration to encourage travel to national parks and other tourist sites in the United States. 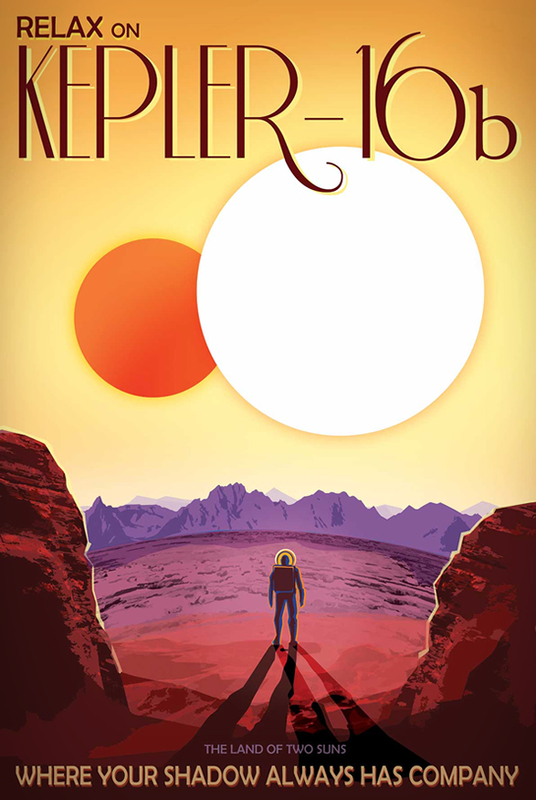 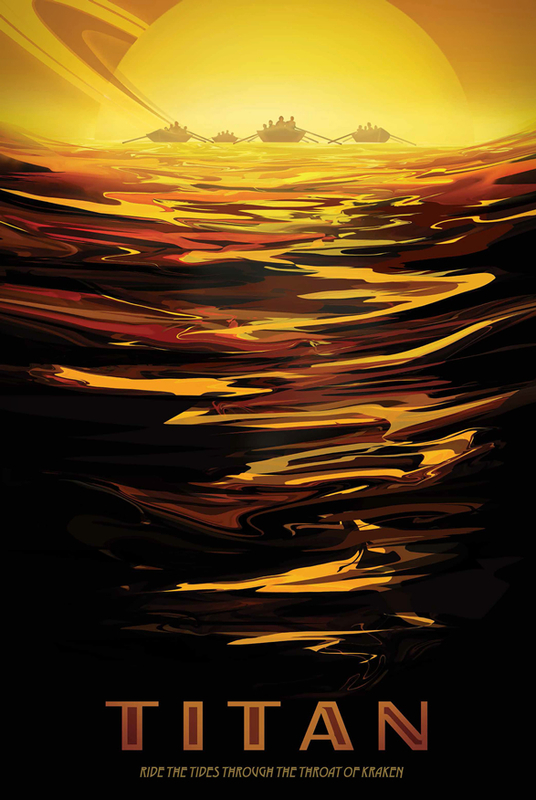 NASAs Jet Propulsion Laboratory is taking a similar approach to promote a future of travel to other planets, and has unveiled a set of retro-style posters advertising the solar systems planets and moons as holiday destinations. 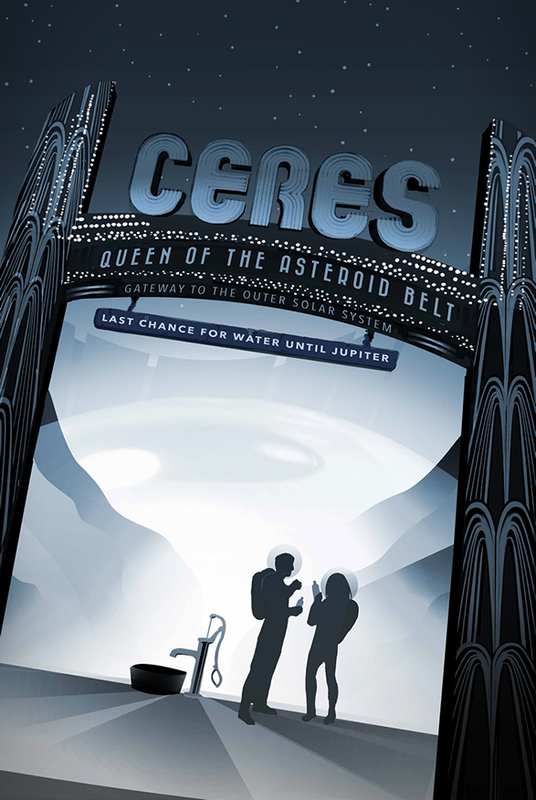 Each poster is representative of a specific historic space mission, and is now available for free download online.